work, shop, eat and go to school. planes and beyond with warning notices. respiratory allergies (such as hay fever) are the most common allergies among children. 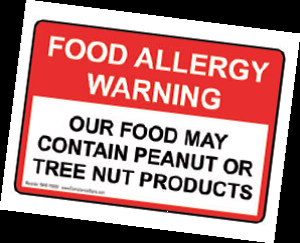 • Hispanic children have a lower prevalence of food allergy, skin allergy, and respiratory allergy compared with children of other race or ethnicities. • Non-Hispanic black children are more likely to have skin allergies and less likely to have respiratory allergies compared with non-Hispanic white children. WHAT’S ALL THE FUSS ABOUT ALLERGIES? Kristin Compton, DMD – Director of Dental Services, Orange Grove Center; Adjunct Professor, Chattanooga State Dental Hygiene Program; TN State Clinical Director Special Smiles, Special Olympics. 1. Kalb C. The lunchroom. Newsweek Nov 5, 2007 Web site:http://allergyasthma.wordpress.com/2007/ 11/17/newsweek-coverstory-fear-and-allergies-in-the-lunchroom Accessed July 19, 2014.
http://www.fda.gov/food/guidanceregulation/guidancedocumentsregulatoryinformation/allergens/ ucm106187.htm Accessed July 15, 2014.
http://www.fasgot.com/50-percent-increase-food-allergies-over-thelast-decade Accessed July 16, 2014. 5. Jackson KD, Howie LD, Akinbami LJ. Trends in allergic conditions among children: United States, 1997–2011. NCHS Data Brief, No. 121, May 2013. Web site: http://www.cdc.gov/nchs/data/databriefs/db121.pdf Accessed July 16, 2014. 6. Haesler RM, Mills JJ. Nutrition and children with disabilities (p.107-119); in Batshaw ML, Roizen NJ, Lotrecchiano GR. Children with Disabilities; Seventh Edition. Baltimore MD: Paul H. Brooks Publishing Co, 2013. 7. Giardino AP, Turchi RM. Health care delivery systems and financing issues (p705-717); in Batshaw, et al., ibid. 8. Liptak GS. Neural tube defects. (p451-472); in Batshaw, et al., ibid. 9. Glanzman M, Sell N. Attention deficits and hyperactivity. (p369-402); in Batshaw, et al., ibid. 10. Tyler C, Baker S. Intellectual disabilities at your finger tips. (p100) New Lenox, IL: High Tide Press, 2009.